A growing movement has parents asking themselves, am I being overprotective? Could I be the dreaded helicopter parent? Especially for parents of younger children, the question of when and how to loosen the reins a bit probably looms large. Helicopter parenting, also known as “hyper-parenting” is nothing new, nor is it location specific. Helicopter parenting (so named because Mom and Dad are always “hovering” about) was criticized as far back as ancient Rome. Schoolteacher Lucius Orbilius Pupillus considered pushy parents an occupational hazard in his classroom, and that was 2,000 years ago. In present day Scandinavia, “curling parents” sweep the proverbial ice in front of their kids, and “education mothers” literally steer their children through the school system in Japan. It’s a natural and certainly well-intentioned instinct to want to protect our young. In fact, isn’t the whole point of civilization to make our world safe enough to allow individual and community flourishing? We know from The Lord of the Flies what can happen when rules evaporate, at least on fictional islands among fictional castaways. Ironically, recent (nonfictional) studies show, too much safety can be, well, dangerous. It might look primitive to adults, but imagine being a kid in this place! In the April issue of The Atlantic, Hannah Rosin takes up the hue and cry, urging, “Hey, parents, leave those kids alone”! Her story, “The Overprotected Kid” details examples of parents doing just that by sending their kids to places like “The Land,” an adventure playground more akin to a junkyard than an amusement park. Have the vivid reds, blues, and yellows of the neighborhood playground seared your retinas one too many times? Prefer rusted metal and dry-rotted rubber to eye-popping plastics? The Land might just be the place for you(r kid)! Complete with firepits and old mattresses for trampolines, this playground is located in North Wales and was inspired by social experiments in post-World War II Europe. Although the emotional climate of that era was vastly different than that of today, the mission might still be worth pursuing: fostering independence and problem-solving ability as well as the ability to assess risk/benefit ratios. In the later 1940s, Lady Marjory Allen began designing “playgrounds with loose parts that kids could move around and manipulate, to create their own makeshift structures. But more important, she wanted to encourage a ‘free and permissive atmosphere’ with as little adult supervision as possible. The idea was that kids should face what to them seem like ‘really dangerous risks’ and then conquer them alone. That, she said, is what builds self-confidence and courage.” The specific dangers we face may have shifted, but surely trying, getting knocked down, and getting back up again are skills necessary for any age. 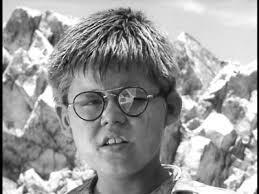 In “The Lord of the Flies,” William Golding presented a much more dystopian view of what happens when kids are left to their own devices than what new research suggests. Grit—it’s the education buzzword of the 2010s. Many of us fondly recall childhoods devoid of helmets, buckles, and, restraints of other kinds. Some of us might even long for a return to that freedom to scrape a knee and bleed. Are we gritty? Or just abraded and scarred? A primary school in New Zealand would vote for the former. After ditching their playground rules at recess as part of an academic study by two NZ universities, they found that chaos did not ensue; instead, bullying and vandalism went down and, even more surprisingly, grades went up. Piggy gets to keep his glasses, in short. “The great paradox of cotton-woolling children is it’s more dangerous in the long-run,” said one of the researchers. “Society’s obsession with protecting children ignores the benefits of risk-taking.” Children develop the frontal lobe of their brain when taking risks, meaning they learn to work through possible consequences in advance and then weigh the payoff of an action against them. The NZ researchers would argue that this can’t be taught but must be learned in real time. So, the Swanson Primary School in Auckland features a playground with bike-riding, mud-sliding, tree-climbing, and all of those other super fun kids things really, really like to do. Happy children evidently make for engaged students, to the surprise of the school’s teachers, many whom were initially opposed to having the school participate in the research. According to current data, unsupervised play confers plenty of emotional, cognitive, and behavioral benefits, whereas—almost counterintuitively—rates of physical harm do not correspondingly rise. This issue is absolutely polarizing, and this post makes no claims one way or the other, except that “The Overprotected Kid” is a fascinating read. The author, in an NPR interview about the piece, stated, “One sad thought I had while doing this is that we often say children grow up too fast, but maybe they never get the chance to grow up at all— to take the necessary interim steps in order to feel independent, in order to manage risk, in order to manage sadness. I love the close relationship I have with my children. This is going to be a fine line we all try to walk without having a suffocating or stifling relationship with them.” And research shows that those kinds of stifling relationships are practically petri dishes for developing colonies of phobias and neuroses in adulthood. Still and all, fire? For kids? What do you think? Please let us know in comments! TNCS Elementary Science Fair 2014! The second annual Science Fair at The New Century School came off with a bang! Actually, it was a drip. And a slide. And a buzz and a whir. There was Jell-O™ . . . Despite numerous weather-related school closings, TNCS elementary students were hard at work in February and March, designing science experiments to conduct and present. “There are two different projects in each class. The pre-1st and 1st-grade class created an ‘Art Bot’ (a robot that draws pictures) and worked on centripetal force. The 2nd–3rd-graders worked on mass flow rate along with friction using an ice ramp and a dry ramp,” said Alisha Roberts, elementary STEM teacher. The lower elementary had been learning about electricity, ultimately building snap circuits in class. “They were obsessed with snap circuits, said Ms. Roberts. “That’s all they want to do! They love being able to make something work. They can make it make sounds, they can make it flash, make it move in a certain direction, or make pieces of it fly off.” So, building a DC-motor-powered robot that can draw held immediate appealed. How will it work best with different weight distributions? Will vibrations in the motor make it move a certain way, or will they cause it to tip over? How can I make the art bot draw a circle? What will happen to the robot if you pit a popsicle stick on the top of the robot? The art bot will draw a circle if one popsicle stick was more on one side. Some objects are hard to balance. Everything can be balanced. I can balance on one foot. The DC motor was invented by Michael Faraday in 1821. Very methodical and precise, kids! That’s a lot of steps to work through! The weight of the popsicle sticks made the robot off-balanced. Center the sticks to make it balanced. Three popsicle sticks placed in the center of the bot produced the desired results! The diminutive scientist was so proud! Look at this marvel of modern engineering. Well done kids! Another class topic was Newton’s laws of motion, which are essential to understanding, say, what keeps you in your seat on a giant loop-de-loop roller coaster—centripetal force. For this, they constructed a bucket with green jello on the bottom, red jello on the top, and a marble in the middle. They then spin the bucket around the same way every time to observe movement in the marble. Predictions included that the marble would change color and that jello would explode all over the room. They were very excited about this latter prospect. Supercool! Instead they learned that for every action, there is an equal and opposite reaction. A little more prosaic than jello-covered walls, but still awfully cool! What will happen if I spin a container with a marble in it 20 times? The Jell-O will mix together and fly out of the cup. They typed (and spelled) their labels themselves! When you spin the cup around 20 times, a force moved the marble to the side. To study friction (also related to Newton laws), the older elementary kids soaked a board and then froze it to compare movement along the resulting icy ramp to that of a dry ramp. When sand is poured on it, which one produces more friction and why? At what height and “slip angle” create slide? Ms. Roberts explained that a practical application of this experiment for kids is to learn about slipping on ice or being able to come to a stop from a full run. What will happen if I put a bucket of sand on a slanted ramp? Friction is the force resisting the relative motion of solid surfaces, fluid layers, and materials sliding against each other. I think the dry ramp will go easier than the sandy ramp. The eager young scientists excitedly commence experimenting! The scientists tested and retested their results to be able to report findings reliably. Learning to measure precisely was an important aspect of the friction experiment. The sandy ramp has more friction than the smooth ramp because it’s rougher, and you have to make the ramp higher. To study the concept of mass flow rate (the mass of a substance which passes through a given surface per unit of time), the students fitted a funnel in the top of a box and measured out the same weight in certain materials like dried pasta, coffee, and water. Then, they pour each substance down the funnel and time how long it takes to flow through. What travels more quickly? Why? Placing the funnel in a box was an ingenious way to control for height and eliminate the possibility of that variable affecting the results. “Everything must be precise!” said Ms. Roberts. They also brought in some math skills with this experiment and learned to measure and cut so that the holes on their boxes would be evenly centered. What flows faster, liquid or solid? Physical laws of the universe! The liquid will flow faster than the solid because the liquid isn’t hard like a solid. Pouring materials through the funnel and recording observations. They must have had so much fun with this! Liquids are faster than solids, but even differently shaped solids can flow at the same rate. The kids decided to paint their boxes to make ’em look pretty for the final presentations! 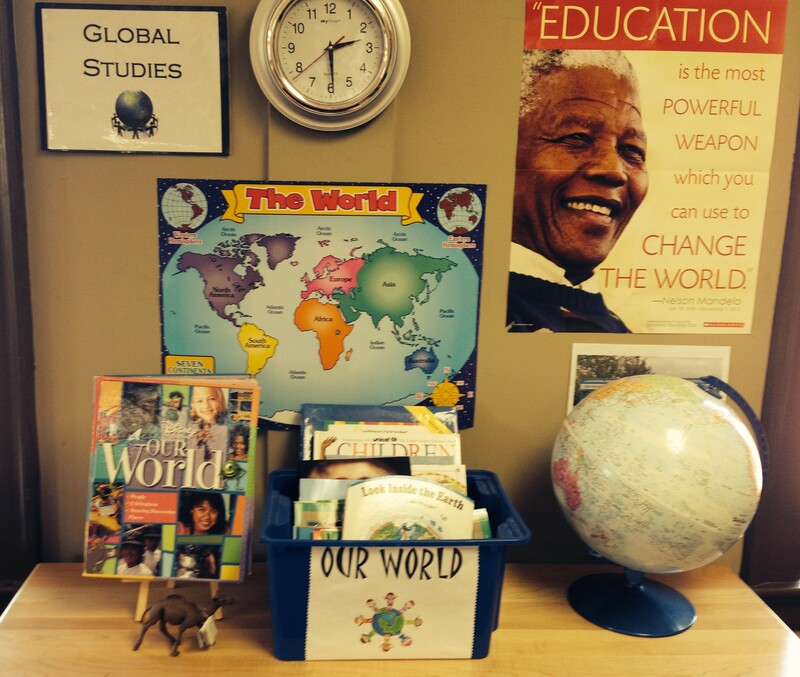 Global studies is always an important theme in Ms. DuPrau’s classroom. All while never leaving the classroom! The New Century School lower elementary teacher Adriana DuPrau designed a project to stimulate her 1st-graders and expand their horizons—passports to circumnavigate the globe! They created passport books to prepare for their global “travel” beginning the first week of the 2014 school year. In less than 3 months, the class visited six of the world’s seven continents, missing only South America. (It really was just about 80 days, just like in the original 1873 Jules Verne adventure novel. No hot air balloons, though.) To launch this fantastic and inspired undertaking, Southwest Air pilot and TNCS dad “Captain Marc” visited the class to talk about air travel, time zones, airplanes in general, and airplane safety. Each child then got a Southwest travel pack with pretzels, activities, and even a pair of wings to pin on their lapels! Ms. DuPrau says, “the kids were so excited and asked Captain Marc lots of very good questions, like ‘how do airplanes fly? '” Captain Marc managed to fly above that one. Ms. DuPrau launches the exciting voyage by tracing the intended path around the globe. Could this icon be any more perfect? Elementary kids hard at work filling out their passport information. The proud passport holders can’t wait to embark! A real airplane pilot—are you kidding me?! The kids were rapt . . . could hardly believe their eyes! This traveler was incredibly disappointed to learn that all travel was virtual and that he would not actually be boarding a plane. One day, buddy. One day. Captain Marc let the excited kids don his cap and feel like real pilots! Withe the necessary accoutrements assembled, travel commences! Captain Marc couldn’t have chosen a cuter copilot to navigate the upcoming journey! Students will color in the countries they visit and map their incredible journeys in their passport books! Having gotten their passports in order and received their wings, the kids were ready to set out. Oops! One more thing. Before exploring each new country, the students profile a day in the life of a first-grader from that country to compare and contrast it to their own lives. Africa was their first destination, Kenya, to be exact. The students had learned that classrooms in Kenya comprise as many as 60 students—quite a difference from what they are used to! Two guests spoke about this exotic country. One class mom lived there for a year and brought in lots of pictures and taught the kids to carry things on their heads, just like the Kenyans do. She also talked about climate, geography, culture, cuisine, and the native animals. The other guest spoke about his experience growing up on a giraffe farm, such as awaking in the mornings to see a giraffe poking its head through the window of a bedroom conveniently located on an upper floor. The kids were utterly enchanted! This man grew up on a giraffe farm in Kenya—how cool is that??? See kids? It’s a breeze! That does not look easy! The kids look great in their Kenyan garb! Ms. DuPrau looks like a native! From Kenya, the class traveled on to Switzerland, escorted by another class dad who once lived there. Before moving on to a new country, however, says Ms. DuPrau, students color the flag of the country they just visited and will compile these in a special flag book. Skiing, chocolate, and watches were the highlights of the iPad presentation on Switzerland. The kids were very interested in Swiss culture, and they especially loved hearing about the extensive rail transportation system. Swiss money was another object of fascination, and from here the kids began collecting currency from each new place. Poring over ski maps, the kids imagine swooshing down the magnificent Alps. The students LOVED having their parents come in and present the places they have lived. Dad shows where Switzerland is located in Europe. With Chinese New Year looming, the class went on to China, with presentations by Wen Laoshi and Xie Laoshi as well as by Ms. DuPrau herself. The class had learned that first-graders in China have much longer school days and felt pretty lucky by comparison. They delved into holidays and cooked Chinese dumplings together as part of their cultural exploration of China. Our Chinese teachers launched our exploration of Chinese culture with some vocabulary lessons! The kids prepared then ate authentic Chinese food as part of their journey to China. The first-graders also created these clever paper lanterns. This photo comes already captioned. All aboard for India! Next, “Ms. J.” (TNCS aftercare teacher) came in to take the kids to her native India. Ms. J. focused on music, cuisine, religion, and traditional clothing. She also sang a classical Bharatanatyam South Indian song, which is her special talent, and passed out honey and fennel pastries—“the kids loved them!” They washed it all down with mango juice, which was another wonderful new treat. Already well known to many of the students, Ms. J. nevertheless had a few cultural surprises up her sleeve! Ms. DuPrau is lovely in sari, Indian jewels, and even a bindi! The kids loved sampling these crunchy snacks! Trying on Indian bangles and other jewelry was fun for the girls! Ms. J. sings a classical South Indian song, accompanied by her darling 5-year-old niece. A quick stop in California represented the class’s North American visit, and a class grandmother came in to present this one. She created an interactive map that the kids could place stickers on after hearing about a particular part of California’s geography (e.g., mountains, desert, beaches, etc.). From the west coast of the United States, the class returned to Africa with another member of TNCS staff who came to us from Ethiopia. This presentation took a slightly different tack. Ms. Kipnesh first prepared a written overview of her country. We learned that Ethiopia has a very temperate climate, ranging from 50°–70° and that it’s the second most populous country in Africa, after Nigeria, comprising over 80 nationalities within its narrow borders! It has several other important distinctions as well, we learned, being the only African country to resist colonization and having maintained its independence for more than 3,000 years! It’s also where a very early human ancestor was discovered—“Lucy“, an Australopithecus afarensis, is about 3.2 million years old. For the presentation itself, the first-graders trooped down to the TNCS kitchen where they got to watch Ms. Kipnesh in action, preparing an authentic Ethiopian dish, while teaching a few words in her native language and donning Ethiopian fancy dress, called habesha kemis. During the preparation of Ethiopia’s national dish, enjera (also injera) be doro wot, Chef Emma helped out by explaining how Ms. Kipnesh made the dish step by step and providing other useful information about Ethiopian cuisine. This highly nutritious and delicious dish traditionally is made with chicken and eggs, cabbage, and cheese, but TNCS students got a lentil substitute for the chicken and eggs. Chef Emma explained that to cool off the spicier elements of Ethiopian cooking, a diary product usually accompanies each dish such as the homemade cheese shown here. Cabbage, spices, and lentils make up the other components of this enjera be doro wot. Each child got to roll his or her own enjera pancakes once the other wot components were passed around! Wearing habesha kemis, Ms. Kipnesh instructs the children on how to prepare there enjera pancakes. Thumbs up on the dish from this intrepid first-grader! First-graders and Kipnesh in the TNCS kitchen. Back to Asia! Saudi Arabia was the next stop, which a class mom originally from that country spoke about. She brought in headdresses for the boys to wear and showed traditional women’s garb. She made a big poster detailing the climate, the geography, and the animals living there. Did you know that Saudi Arabia is one of just a few native camel habitats? The fun didn’t stop humped beasts, however—fig cupcakes were next! We have it on good authority (i.e., Ms. DuPrau) that these cupcakes were the best anyone had ever eaten. Mom and daughter present their native country to the rest of the class. This first-grader looks ready to mount any passing dromedary! First-graders got a comprehensive look at this fascinating country in the Middle East. These look so delicious . . . fig . . . caramel . . . yummmmmmmmm. Some cultural artifacts for the class to look at and compare to the United States. Cool sabre, Saudi Arabia flag! Next they headed west back to Europe. (This was a zig-zagging journey of necessity.) A British class dad presented Wales and Scotland to the class. Rugby and biscuits were a big part of this talk, natch. Wales is notable for having one of the world’s longest place names. (Serendipitously, the class was able to visit the place with the longest name before their journey’s end.) Llanfairpwllgwyngyllgogerychwyrndrobwyll-llantysiliogogogoch and its surrounds were full of interesting facts, even if no one was able to pronounce what sounds those 58 letters combine to produce. If you have given up and the suspense is killing you, click here! Helpfully pinpointing Wales and Scotland on the map. Dad and daughter profile what is clearly one of the family’s favorite topics—rugby! First-graders got to look at Scottish and Welsh currency up close and personally. It is apparently quite a dramatic subject, judging from their facial expressions! Does the pronunciation guide really even help that much? And on back to Asia for a Skype visit to former class assistant teacher Ms. Chae in Korea! This trip wasn’t as strictly educational—the kids were just eager to catch up with their dear friend! However, they did learn about the Korean flag, the cuisine, and traditional Korean clothing in between the flurry of news exchanges! Skyping with Ms. Chae provided a virtual visit to Korea! It’s bittersweet to see the remnants of her time at TNCS all over Ms. DuPrau’s classroom, such as the exquisite snowflake paper cutouts. Ms. Chae’s presentation was very high-tec! She presented a cultural overview via iPad, all via Skype! Ms. Chae and some TNCS gals! Veering southeast, the class finished up with a trip to Thailand. The kids learned about Thailand’s tropical monsoon climate, why elephants are immensely important, and that rambutans and mangosteens taste sublime but that durian is extremely off-putting to the foreign nose! They also learned how to properly wai their ajarns. Finally, it is Bangkok that actually has the distinction of having the world’s longest place name. With 163 Thai letters without spaces, “กรุงเทพมหานคร อมรรัตนโกสินทร์ มหินทรายุธยา มหาดิลกภพ นพรัตนราชธานีบูรีรมย์ อุดมราชนิเวศน์มหาสถาน อมรพิมานอวตารสถิต สักกะทัตติยวิษณุกรรมประสิทธิ์” (or, Krungthepmahanakhon Amonrattanakosin Mahintharayutthaya Mahadilokphop Noppharatratchathaniburirom Udomratchaniwetmahasathan Amonphimanawatansathit Sakkathattiyawitsanukamprasit) translates to “The city of angels, the great city, the residence of the Emerald Buddha, the impregnable city (unlike Ayutthaya) of God Indra, the grand capital of the world endowed with nine precious gems, the happy city, abounding in an enormous Royal Palace that resembles the heavenly abode where reigns the reincarnated god, a city given by Indra and built by Vishnukarn.” Who knew? Click here for audio pronunciation. This is the Thai greeting. A student shows us where Thailand is located in Southeast Asia. He was also able to tell us what four countries border Thailand: Malaysia, Laos, Myanmar, and Cambodia. Good job! Examples of Thai silver. The anklets with bells are worn by crawling babies to alert parents to their whereabouts. Beloved elephants are the national symbol of Thailand. Beautiful, handpainted porcelain teacups and saucers nestle in famous Thai silk. The kids learned how to properly greet their teacher, Thai style :)! Durian (basket) smells like the essence of putrefaction, but the custardy flesh is unparalleled for flavor. Thais call it “hell on the outside; heaven on the inside.” Whereas durian is the king of Thai fruit, mangosteen (plated) is the queen—silky, sweet, and fragrant—and nothing at all like mango, despite the similar name. Rambutan (forefront) is similar to the lychee but with firmer, yet still succulent flesh. It goes without saying that our now seasoned world travelers enjoyed themselves tremendously and learned scads of information about each country but also broadened their mental vistas. Volunteer speakers also benefited greatly by sharing their cultures or reliving once-in-a-lifetime experiences. Ms. DuPrau, this was a truly wonderful class project, combining the best elements of learning—discovery, interactivity, and real life. Wherever you take TNCS elementary students next along their scholastic journey, the destination will be well worth the visit! Editor’s Note: For the 2014–2015 school year, TNCS modified the kindergarten program to better accommodate the growing student body. While the primary program still comprises a 3-year cycle, kindergarteners now move up to the elementary floor for a mixed-age K/1st classroom instead of kindergarten taking place within the primary classroom. This adaptation has proven a marvelous success and provides another very important transition mark for students as they broach their elementary years. The gist of the post below, therefore, still very much applies. A recent stressor has been added to the list of 21st-century parenting tribulations: how to ensure that children are ready for kindergarten. There was a time in the not-so-distant past when that question wouldn’t even make sense to parents—Ready? For kindergarten? (Here’s a crayon; there’s a piece of paper. Go!) But with kindergarten morphing from extended preschool more and more into what resembles grade school around the mid-90s, educators observed a huge disconnect between what they were expecting of children and what those children were actually able to deliver in terms of concrete skills, independence, and maturity. We began to see a frighteningly pressurized climate in which parents competed to produce the most knowledgeable 5-year-old on the block. As if to heighten this pressure, studies found that the achievement gap that emerges in elementary school has its origins in the pre-school and kindergarten years, and the A-B-C/1-2-3 scramble accordingly intensified. Successful transitions, however, are more than simply a function of individual children and their skills. 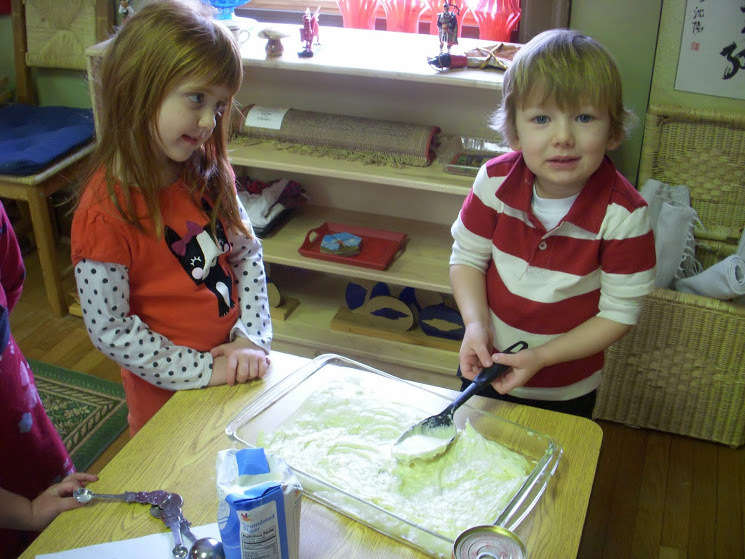 More recent studies from the U.S. Department of Education demonstrate that “Children’s transitions are most strongly influenced by their home environment, the preschool program they attend, and the continuity between preschool and kindergarten.” This is not news to many of us, but it echoes a primary theme at The New Century School that bears exploring from a new perspective: continuity. TNCS academic programs come close to obviating the notion of hard and fast changes, such as preschool to kindergarten, by their very design. 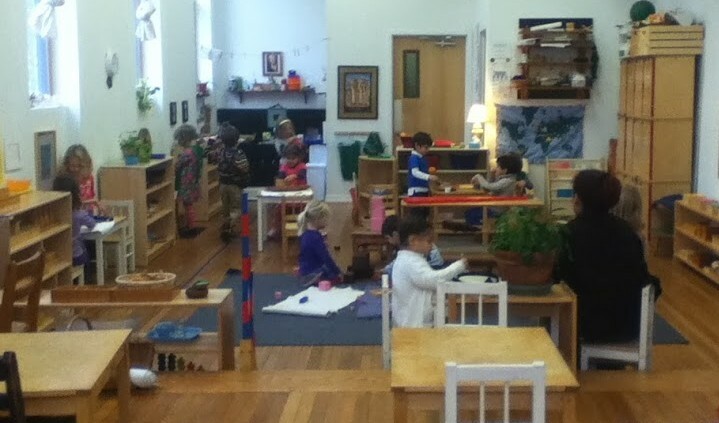 Maria Montessori knew that kids need, above all else, to feel secure for optimal development; therefore, the Montessori primary classroom encompasses ages 3–5/6 to soften those hard edges and eliminate the inherently false notion that “last year I was a little-kid; this year I’m a big-kid” that is the foundation of the preschool to kindergarten problem. Kindergarten at TNCS happens within the primary classroom, where the child has already been flourishing for 2 years. New skills are introduced when the child is ready for them, not when the calendar arbitrarily dictates. That holds true for all ages at TNCS, no matter what program, pre-primary, primary, or elementary. It’s a founding principle. As mentioned, this post is meant to take a slightly different perspective, because even though the advance to kindergarten is made as smooth as possible, TNCS students do face transitions and changes, as all students do. The important difference is in the thoughtful, child-appropriate way these transitions are undertaken. Last month, TNCS held a Pre-primary Information Night focusing on The Next Step—transitioning out of the pre-primary program into the primary program. This is a big move for tiny kids and one that inspires dread, doubt, or sheer terror in many parents. In diapers in May but using the bathroom by late August? Able to don outdoor clothing independently? Able to articulate daily needs? Those are one of so many hurdles jumped for lots of kids, towering obstacles for others. No matter where your child falls along that continuum, the overriding message that emerged from Head of School Alicia Danyali’s presentation was that the child will be supported and nurtured along the way. 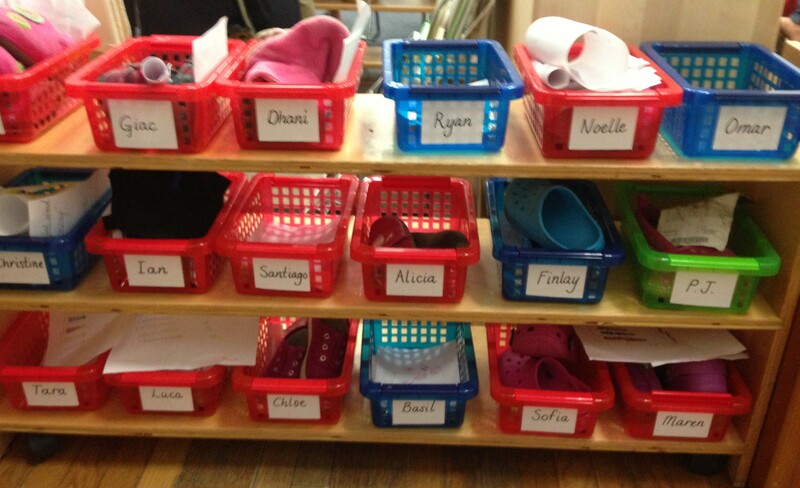 These bins hold students’ indoor shoes and any paper work they accumulate throughout the week. Preparation for the primary program begins in the pre-primary program. 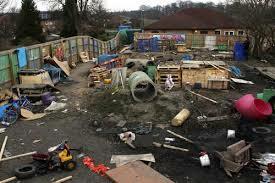 Potty-training, for example, is initiated here as well as teaching how to put on jackets and outdoor shoes. Kids are also encouraged to be responsible for their own belongings by replacing jackets and shoes on labeled hooks or in cubbies. 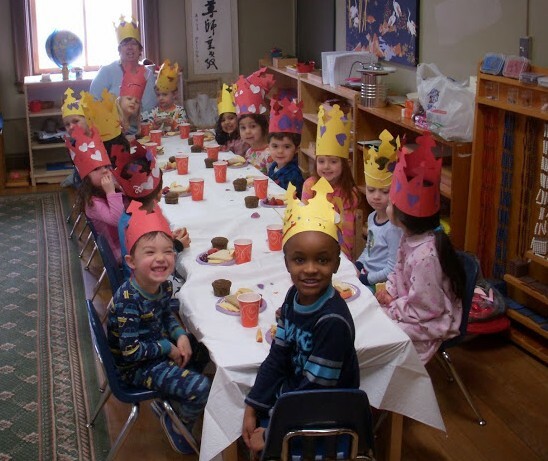 The immersion-style pre-primary program is where many students are first exposed to a second language. It’s also where they first get their chubby little hands on some of the Montessori materials that utterly fascinate and delight them. All of these are important introductions to primary classroom life. Kids enter the primary program already familiar with most aspects of it. The Montessori-trained teacher leading the primary classroom is there to gently guide and facilitate their process of becoming more independent. A younger student gets some pointed help from his older classmate. But here’s the best part. Remember that kindergartners have spent 2 previous years in the same classroom, where they have gained the confidence to spread their academic and social wings? Well, that 3-year-cycle works the other way, too. Kids enter the primary classroom not as strangers in a strange land but as little friends taken under the wings of their older friends. The 5-year-olds who were nurtured into thriving kindergartners become the mentors and role models of the 3- and 4-year-olds, and this is the beauty of the mixed-age classroom. It makes for a much gentler way to start preschool. Does the span of ages present special challenges for the teacher? Rather the opposite; this model is all many Montessori teachers have ever known and is what they were trained in. “Seeing older kids helping their younger peers is my favorite part of the Montessori classroom,” says experienced Montessori teacher Angela Lazarony, who represented primary teachers at the Information Night. Because of the primary 3-year cycle, which is an extended commitment, matching each child with the right classroom is a well-thought-out procedure in which school administration, the child’s pre-primary teacher, the primary teachers, and parents collaborate. Just as each child has a unique personality, so too each of the four primary classrooms has its own distinct “flavor.” (In addition to Ms. Lazarony, Mrs. Lawson, Mr. Warren, and Ms. Reynolds are the other primary teachers.) The teachers weighing in are trained observers who know their students well and probably have the keenest acuity to judge where each student will best thrive. A good fit between child and classroom ensures harmony and will enhance the child’s development. 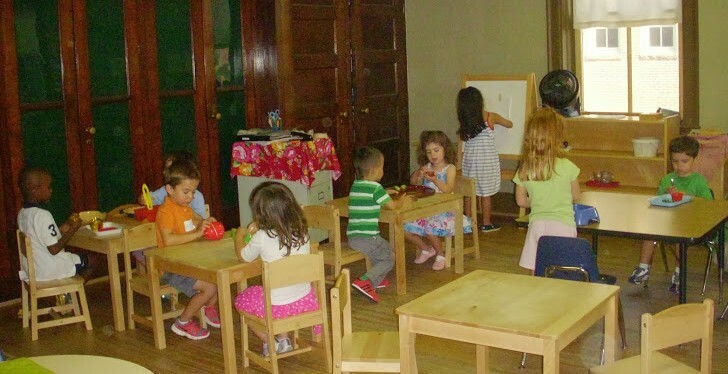 Other factors also influence the placement decision, such as making sure an even distribution of 3-, 4-, and 5-year-olds is achieved across classrooms, which is an integral component of the Montessori classroom. Another primary classroom operating harmoniously. Morning worktime is productive, harmonious, and orderly! Once there, what does the brand-new primary student’s day look like? Much of it will be very familiar to the child. Although the lead teacher speaks English, an assistant teacher in the classroom will be speaking only in his or her native Chinese or Spanish, so the child is still getting some immersion in that language. The other language will now be introduced in a slightly more formalized way three times weekly, when an assistant teacher from another primary classroom rotates in for this purpose. Thus, all primary students get both Mandarin and Spanish instruction. The day also begins in a way the child is already accustomed to, with “circle time” to greet each other, get oriented (calendar, weather, etc. ), sing a song, and generally settle in to the schoolday. From there, the child gets free time with the Montessori materials, what they call “doing a work.” The idea is that each child will gravitate naturally to the manipulative that most interests him or her at that given moment, thereby cultivating a skill appropriate for his or her current stage of development. But what if my child gets stuck in a rut with a particular work, never trying anything new even when he or she has mastered the old work? many parents wonder. Says Ms. Lazarony, “we’re watching them to see where they’re going, but we’re leading them where we think they should go.” Amidst free time, teachers observe, guide, and circulate among small groups to give specific lessons in new works or skills. Other familiar aspects are art, music, and movement instruction. Primary students met the amazing and gifted “specials” teachers Ms. Raccuglia (art) and Mr. Warren (music) as pre-primary students. Their activities in The Lingo Leap are supervised by an assistant teacher or sometimes by parent volunteers, which the kids love. By the way, volunteering is the ideal way for parents to be part of their child’s schoolday and another means to help him or her feel secure in the new classroom. Napping and playground time are also still in the mix. The differences between the pre-primary and primary programs really lie in the degree of instruction taking place by the teacher and in the extent to which the student can explore. Because the primary program is self-paced, the student can reach well beyond conventional expectations for his or her age. Likewise, the child who needs more time absorbing the surroundings is supported and affirmed. Big kids, little kids—we’re all one big happy family! The takeaway is clear: Children should get the space to develop at their own paces, but when they show willingness to expand, TNCS is going to make sure the transition is pleasant by supporting them in the way that will best serve them. Back to the study finding that continuity is critical to successfully making scholastic transitions, TNCS goes it a step or two beyond, adding nurturance and support to that continuity already very much in place at each scholastic level. No scramble here!